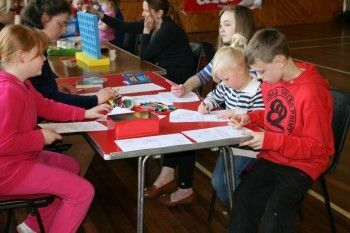 Youngsters in Longtown had a fun-packed week during the school summer holiday thanks to a grant from Cumberland Building Society Charitable Foundation. A group of churches joined together to provide a summer club at the local community centre and reduce social isolation in the town. The club which is seen as a valuable asset to the community, has been held every summer since 2011 and is the only one currently run in the area. Growing in popularity, it offers a safe environment for children to enjoy arts and crafts sessions, games, stories, singing, and drama. Working together are Border Kirk, Longtown Methodist Church and Esk Parishes (Arthuret Parish Church) to form the Longtown Group of Churches. With volunteers managing the holiday club, it’s free for children to attend: making it accessible for all families including those of disadvantaged backgrounds. The £300 grant paid for the hire of the community centre, insurance, arts and craft supplies, group leader resource books and children’s activity books.